468. In how many of the given years were the exports more than the imports for Company A? 469. If the imports of Company A in 1997 were increased by 40 percent, what would be the ratio of exports to the increased imports? 470. If the exports of Company A in 1998 were 237 million Singapore Dollar, what was the amount of imports in that year? 471. 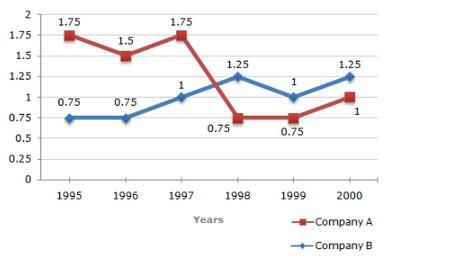 In which year(s) was the difference between impors and exports of Company B the maximum?